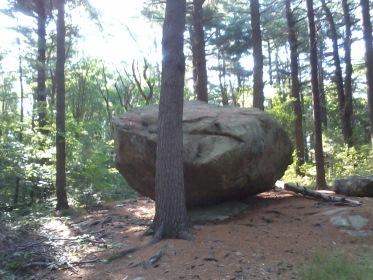 Wheelwright park and it's hiking trails are listed in The Historical Index Survey of Architectural and Historical Assets of the Commonwealth of Massachusetts. Most likely it is listed here as a result of enhancements made to the park between the years of 1933 and 1943. This is when a series of programs were implemented by then President Franklin D. Roosevelt called New Deal. Wheelwright Park is an example of two of these programs within the New Deal that were put in action. In 1935 the Works Progress Administration built 4000 feet of enhanced gravel paths throughout the park along with fireplaces at areas set out as picnic spots. 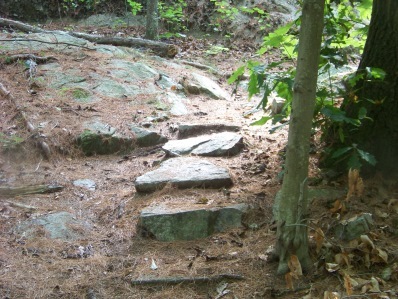 Since then, these have become pine needle covered hiking trails helping to lend to the peaceful atmosphere in this forest. The Works Progress Administration later called the Works Project Administration or WPA was put in place to give relief to the millions of unemployed after the Great Depression. These were mostly unskilled labor jobs used to carry out public works projects. The work of this project was carried out on public parks, schools and other public construction including bridges. 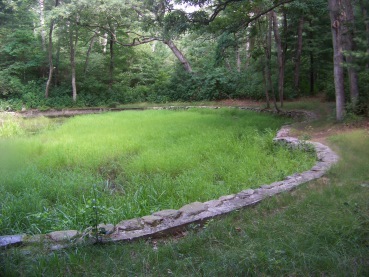 Another feature of the park is the ice skating pond built in the 1930's by the Civilian Conservation Corps. The Civilian Conservation Corps was another program of Roosevelt's New Deal. This program targeted conserving and developing natural resources in rural areas. It also targeted unmarried men between the ages of 18-25 of families needing financial relief. This provided the workers with clothes, food and shelter. The bulk of the wage they earned was to be sent home to help their families. Both of these programs helped unskilled men and at times women, find and develop skills that made them more employable. 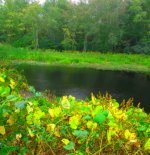 The park and it's hiking trails comprise of 232 acres which include a 32 acre parcel called the Barnes Wildlife Sanctuary which was purchased in 2003 from the Barnes family. This together with Wheelwright Park comprise of the first 112 acres. 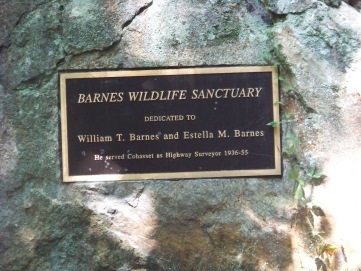 Here in the Barnes Wildlife Sanctuary, is the part of the park where it seems the most rocky inclines exist. Though this makes this area quite interesting, still it does not amount to anything challenging. 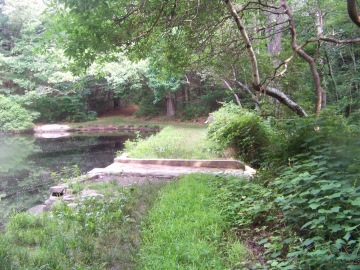 The skating pond is on the border of the two pieces of property. It was restored in 2002 as an eagle project by the Boy Scout Troop #28. 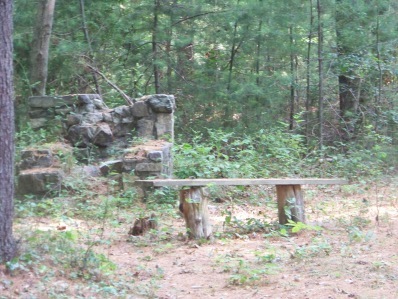 This same Boy Scout Troop uses a portion of the park as a campground and is responsible for much of the present day maintenance of the park and it's hiking trails. Though much of the work done on the park occurred in the 30's and 40's there is mention of the park's existence as early as the turn of the century. There are two entrances to Wheelwright park. One on North Main st which appears to be the main entrance with a parking lot. The other end is on Forest St with room for several cars at the side of the street. 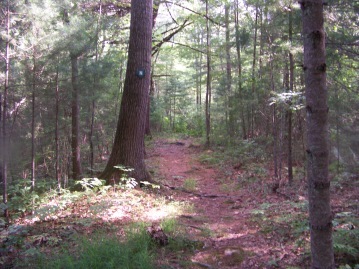 On the map of the property the main trails are marked in bright yellow and aqua. 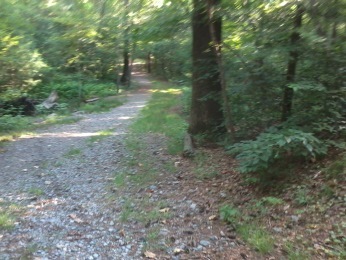 These are cart path to road sized hiking trails. 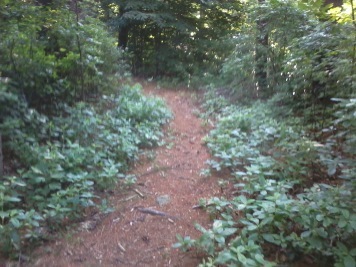 The orange marked trails are side paths. 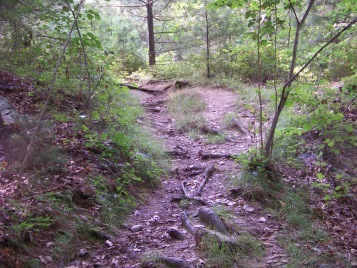 The main trail connects the two entrances to the park. 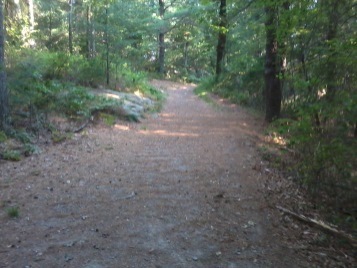 From the main parking area on North Main st., the trail makes a bit of a climb. The rest of the hike is an easy walk. 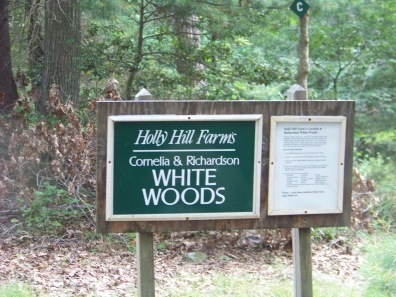 Once you make your way around the big turn on the main trail you will notice paths leading into Holly Hill Farm or the Cornelia and Richardson White Woods. These comprise of another 120 acres of the total 232. These as well, are mostly grassy and easy walking. One help that lets you know that you are in White Woods portion of the park, are the letters that mark the hiking trails there. 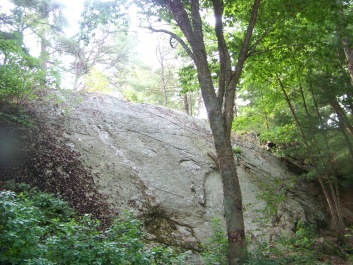 Another interesting feature are the glacial remains such as Big Tippling Rock and Little Tippling Rock. Though you may find the remains of the original fireplaces built in the park, currently fires are not allowed. While dogs are allowed in the park they must be leashed in the parking area, but may roam free everywhere else as long as they are well behaved and in control. All dog waste should be picked up and removed. No hunting or trapping of any sort is allowed, nor any motorized vehicles. From route 3 take exit 14 heading toward hingham. At 2nd set of lights continue straight on route 228. At intersection with route 3A go right. Follow till King St on the left. At next intersection continue straight on Forest Ave or take a right on North Main st. for the main entrance. North Main St. entrance for many parking spaces. Limited parking along the Forest St. entrance. Several hours needed to explore the full extent of the park.